which is pretty damn lazy. 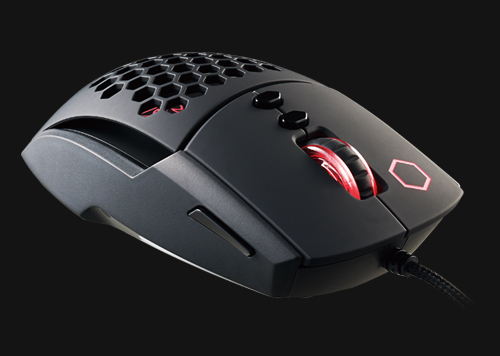 Otherwise it's really a standard mouse just a bit bigger and more ergonomic. I had a Deathadder, but it started dying a couple months ago. I picked up a Thermaltake Ventus for $20 on a Black Friday deal as a cheap replacement until after the holidays. I have to say, I'm pretty impressed with it. It isn't quite as comfortable as the Razers that I've had, but it tracks every bit as well, if not better. For 1/2 or 1/3 the price of a Razer I'm really happy with it. May I replace it down the line? Yup. But I'm in no hurry. Thought I was just getting it to use for a month or two, but now I could see me keeping it for a year or more if I keep having other stuff I need / want to buy. Before that I had Steelseries Sensei. Both great mouses but after ~3-4 years of gaming with the Steelseries Sensei, the scrollwheel button broke, so I got Logitech G502. It's hard to say which one is better, because I really like them both. I still use the Sensei with my other computer. G502 feels a lot "snappier" though. Maybe a bit more accurate, even. I love it to death. Would recommend.